#paratha « Hey Sugar Dumpling! So I’ve been struggling to think of some fresh, tasty non-dairy finger foods for my bubba. 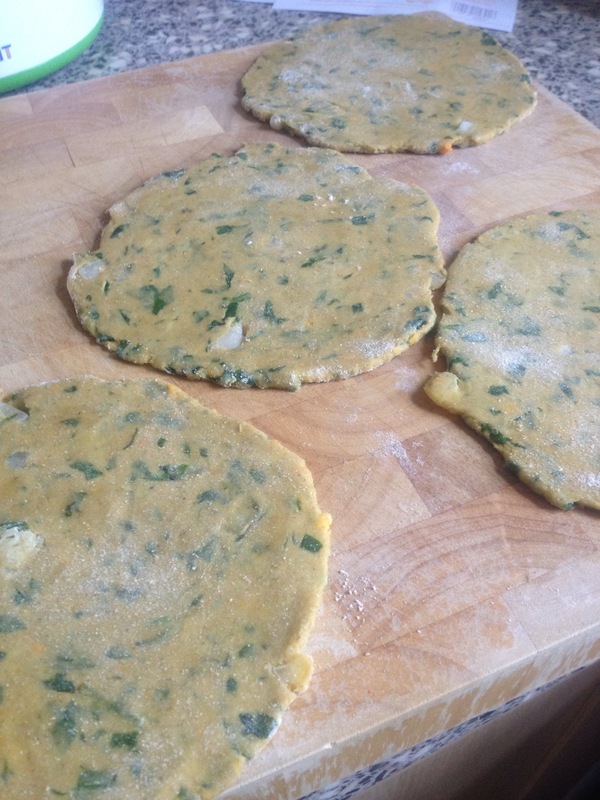 I had done the usual toast, rice crackers, etc and then thought what about some Indian finger foods… And the sweet potato and spinach paratha was born! Paratha literally translates to “layers of dough”. Its an Indian flat bread which North Indians traditionally have with a bit of butter on top and a pickle/yoghurt on the side. They can be stuffed with pretty much anything! But usually it’s potatoes, leaves, or maybe paneer (Indian cottage cheese). As bubs has CMPA I omitted the usual ghee and butter from the recipe and decided to go with a stuffing of sweet potato, spinach and onion. 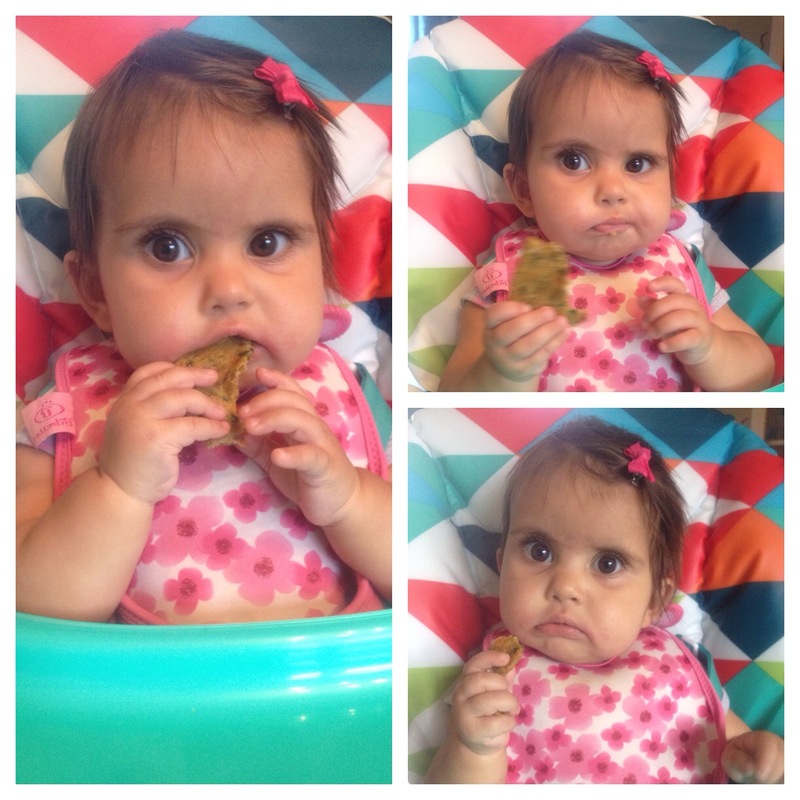 But really you could try any of babies favourite veggies! *I used a multigrain flour as I thought this would be the most nutritious. 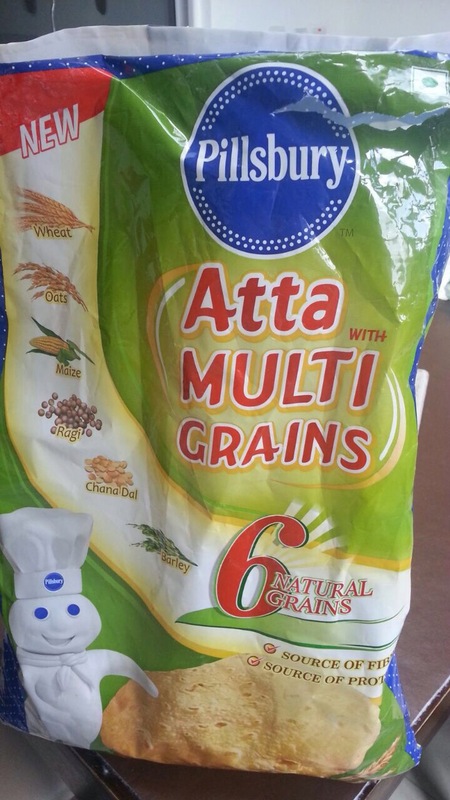 You can pick this one up from most Indian stores or large Tesco stores in the Asian food aisle. 1. Boil the diced potato until soft and fork through. 2. Mix this with the chopped onion and spinach, then add the ginger and cumin powder. 3. Add the flour and oil and begin kneading the dough until it all comes together. It should be quite solid but still soft. (So you should be able to leave a thumb print in the dough). Add a little more oil if the dough doesn’t come together. They don’t need to be very thick… Around half the thickness of a pound coin. 5. Then cook one at a time on a hot frying pan around 1min either side. I put a touch of oil onto the first cooked side and flipped it over doing the same on the second side. Let me know what your little babes think of this recipe! 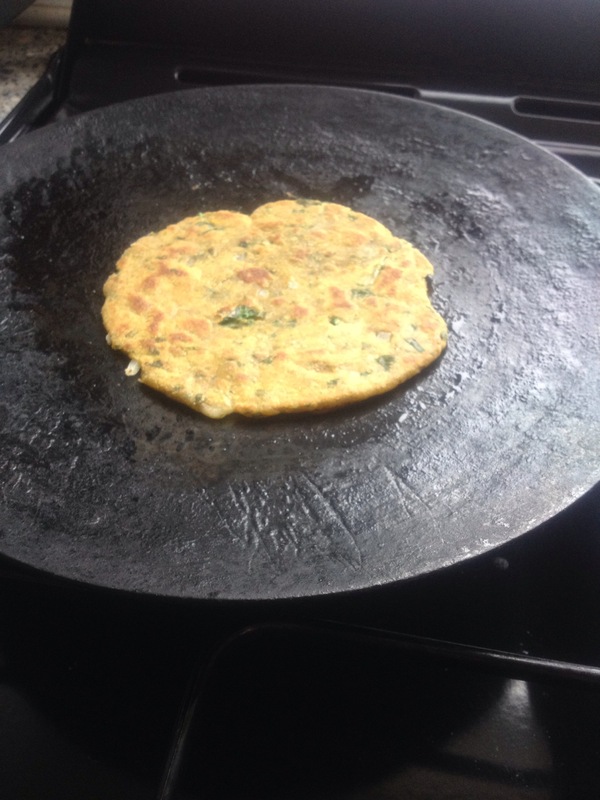 This entry was posted in Recipes and tagged #babyfood, #babyrecipes, #babyweaning, #cmpa, #indianbaby, #indianweaning, #mummyblogger, #newblogger, #paratha, #spinach, #sweetpotato.